While many people, including clinicians, may think that patients have a right to end their lives when facing chronic or terminal illness, and while there may be many compelling arguments in favor of allowing the practice, the court’s decision is nevertheless correct from a legal standpoint. When interpreting laws, courts often try to either determine what the statute literally means (by attempting to determine the meaning of the words and sentences), or what the statute may have been intended to mean. By either method, no exceptions for clinicians can be found: the law contains no explicit exceptions, and it is unlikely that lawmakers in the past, who may have been more strictly conservative about many bioethical issues than we are today, would have intended an exception for physician-assisted suicide to exist. Were the court to rule that the state’s law did allow exceptions, they would cross the boundary between the judiciary and the legislature by attempting to write new laws through court decisions, a practice often frowned upon in the legal community. Notice, however, that the court did not explicitly deny that individuals have a moral right to actively end their lives as a means of ending their suffering: rather, they argued that people do not possess a legal right because there is a compelling state interest against the existence of such rights. Intuitively, this claim may seem confusing, since one could easily argue that the state may not have an interest in keeping suffering individuals who do not wish to live alive against their wishes. However, the state’s explicit interest lies in preventing individuals from being induced to physician-assisted suicide against their will: the worry is that individuals will choose physician-assisted suicide to avoid “being a burden” to loved ones, or because of some other reason that cuts against their otherwise autonomous wishes. It is certainly reasonable to think such a fear is warranted, and thus that the court’s reasoning is sound. According to a recent article in BioEdge, “In Oregon, 48.9% of patients who ended their lives under the state’s assisted suicide act said that fear of being a burden was one of their reasons.” The data comes from the 2016 Oregon Death With Dignity Act Data Summary. Assuming a right to die exists, it seems intuitive that the choice to exercise that right should be based solely on one’s own experience of life and of one’s disease, not the interests of others. The mere fact that this scenario might arise in some cases, however, does not automatically mean that laws allowing physician-assisted suicide would be morally wrong, or could not be implemented in some morally acceptable fashion. Another ambiguity rests in the nature of such a choice: even if one were to choose to die in order to not be a burden to a loved one, does that automatically amount to coercion? Does such a choice automatically indicate that one is being forced to die against one’s will, or could such a choice ever be rational? Would choosing to die for the sake of another always be morally wrong? The answers to these questions are deeply personal and subjective, and laws that attempt to answer them in one fell swoop may gloss over a wide range of options that may actually be protected under the First Amendment right to make one’s own value judgments and to hold one’s own beliefs. It also does not seem likely that individuals feel compelled to such choices against their will on a large scale, systematic level, especially given the fact that physician-assisted suicide cases are not rampant in any state in which they are legally permitted: they typically account for only a few thousand deaths a year. While the number might sound like a lot, it may not be when considering how frequent such deaths are on relative terms: in Oregon in 2015, for example, there were about “38.6 [physician-assisted suicide] deaths per 10,000 total deaths.” If such deaths were much more common, there would be strong reasons to worry that such a policy very frequently led to patients being coerced or unduly influenced. One significant question for supporters of physician-assisted suicide to address is whether or not a judicial appeal is the most effective way to implement the practice and, if it is, what that appeal should look like. There have been numerous court cases concerning physician-assisted suicide in the past, some that specifically concerned the practice, and others that attempted to establish a “right to die.” Two notable examples are Washington v. Glucksburg, in which the U.S. Supreme Court ruled that laws prohibiting assisted suicide do not violate an individual’s right to due process, and Vacco V. Quill, in which the U.S. Supreme Court ruled that there was no constitutionally protected right to death and that there was a moral and legal difference between withdrawing life support and actively ending a patient’s life. While the Court has consistently ruled against physician-assisted suicide in the past, and has supported the distinction between active and passive euthanasia (i.e. between allowing death by withdrawing treatment and actively ending life by prescribing lethal substances) for decades, there is no guarantee that that will remain the case, so a judicial challenge is not unreasonable. However, establishing physician-assisted suicide through court decisions will be difficult, given the amount of precedent set against it. If proponents of physician-assisted suicide wish to continue challenging existing laws in court, one effective method might be to directly challenge the Supreme Court’s previous ruling in Vacco v. Quill that there is a fundamental distinction between active and passive euthanasia. Although the court has previously leaned on the idea that in the former the intention is to ease suffering while in the latter the intention is to end life, there is strong conceptual support for the notion that the two acts are actually the same: one can easily claim that in both cases, one intends the person’s death as a means of ending suffering. While death may be more explicitly intended in active cases, it is still intended only as a means of relieving suffering. The only real difference is the kind of action one must take to reach that goal. Philosophers and bioethicists have challenged this distinction many times, the most famous of which is James Rachels’ “Active and Passive Euthanasia.” So long as one can present convincing arguments that the intent in both cases is similar and that the result is the same, the Court’s distinction falls apart. Indeed, there is judicial precedent for such an approach: in Baxter v. Montana, the Montana State Supreme Court ruled that there was no practical policy difference between the two actions, and permitted physician-assisted suicide in the state. While the New York State Supreme Court and the U.S. Supreme Court may not currently favor such arguments, they may reconsider their positions in the future as time passes and the members of the Court change. The most direct route, however, would be through legislative changes, which merely require a consensus among lawmakers, as opposed to a complex legal argument that must be accepted by several federal judges. In January, proponents of physician-assisted suicide will try to pass a law in New York permitting the practice: “The bill before lawmakers would allow someone with a terminal illness to request life-ending medication from a physician. Two physicians would have to certify that the patient has a terminal condition and is mentally competent to make the decision.” The law would be similar to laws in Vermont, Washington (state), Colorado, Oregon, and Washington, D.C. To strengthen the policy against the fear that individuals may be pressured into committing suicide against their wishes, perhaps an even more rigorous review process could be implemented alongside the policy used in Oregon’s Death With Dignity Act, for example, which forces individuals to make requests on multiple occasions and to wait for over two weeks before receiving lethal drugs. 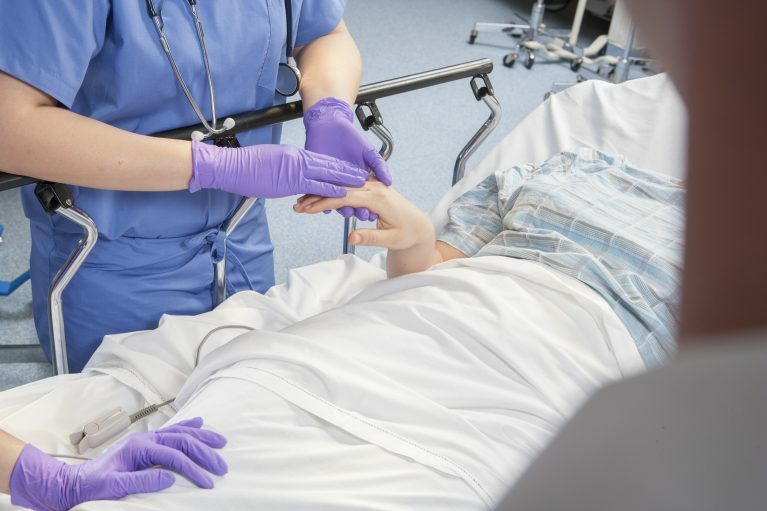 It may be possible to install further oversight mechanisms to prevent coercion from occurring, removing a significant ethical roadblock to physician-assisted suicide’s acceptance. As pushes to legalize physician-assisted suicide gain strength around the world, both patients and clinicians should carefully consider their own views: it is very possible that one day in the future, each of us will face such a choice ourselves. 10/13/2017: Correction: A previous version of this article indicated that Judge Jenny Rivera wrote a dissenting opinion; she actually wrote a concurring opinion.